I wrote a post back in July about different programs I had found to monetize my blog and wanted to give an update with what’s been working for me. I only started to monetize my site this year and have been earning more money. Mind you, there’s more costs too (like hosting, design work, giveaways that I sponsor myself, etc). I’ve made a little over $170 since starting with them. I used to get a lot more offers than I do now. Now it’s just one every few weeks or so if that. The suggested price for me is $8.16, but I lowered it to $3 to see if it would bring more offers. Maybe it goes in spurts- I really don’t know, but I will stick with it since it has been pretty good in the past for me. 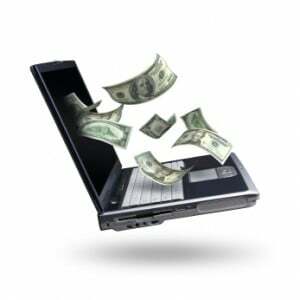 You need to make $50 before you can get paid (without any fees) via Paypal. I’ve made about $130 with them to date. I get more offers from them and it’s usually one every couple days. I like that they pay weekly via Paypal when you are over $2. I started with Logical Media this summer and they have been fairly decent. They have a large number of campaigns to choose from. I am picky with the ones I post though and don’t do everyone that they send out. I’ve earned $127 through them. Click Here if you are interested in joining their program. This is my favourite program. They always have high quality offers and they do pay. I received my first cheque last week actually! I’ve earned $83 to date with them. This is another good one too that seems to really care about their affiliates. Their offers are pretty decent. I have made $63 with them. This is another good one and there’s two ways to earn money- with each click and with each referral. I have received two cheques so far from them so they are legit. My grand total with them is $175! This is one that pays too! I’ve earned about $50 or so with them. They pay via Paypal. Savvy Savings & Scholarships– advertises family friendly deals cross the US. Chango– Earn money on your search engine traffic (and not your regular readers). Chitika– Same thing as Chango- earn $$$ from your search engine traffic. I am still trying to decide which one to keep on my site between the two of them. What other programs do you use? Have you tried any of these ones? How are they working for you? I am your follower already, just dropping by for Where in the world are you Wednesday? meme. GREAT tips Stacie. You are doing so well. It is a lot of work, but keep it up. Thank you for this post! I’ve seen other posts, but you have given different information w/ a lot more detail about your own experience. That is helpful! I am new to the blog world… I’ve had a blog, but didn’t use it regularly until recently (due to working 60 hrs/wk at a job that was killing me) so I had never considered monetizing prior. thankz for sharing the tips, am a dummy and looking for the same info that i found here, i will follow the simple yet working tips that read in your post… thank you again may god bless you and you make LOTS of money! These are great. I’m in the process of monetizing my blog and any additional help is greatly appreciated. Thank you. This is really informative Stacie! Thanks for the update. I read your last post & did join a few that you mentioned. The only one I really like is Sponsored Tweets… although I am not making too much. I started about 2 months ago and I have only made about $11. I got discouraged. I did have a lot of offers but it didn’t seem to bring in much money. I kinda gave up. It seemed like I was ALWAYS tweeting. Maybe I’ll start back up and raise my suggested price. I am at around $3 right now. Thanks for sharing your experiences with each company. Honest personal ancedotes, complete with monetary values, is one of the best ways to judge offers without doing them yourself. thanks. ive been wanting to start monetizing my blog and this is a great place to start. I would like to look into some of these. The MyLkes and Sponsored Tweets were duds for me. I just started this one, I’m liking it compared to others I’ve tried. Referrals is the main way to earn or surveys and reading ads. The emails are easy, click to look, click to confirm, done. You get a $5 sign on. I hope the link below comes through. If not I posted it on my blog. Thanks! Adding this to my favorites so I can refer to it. Thank you for your honest opinions and for actually disclosing how much you have made. I am just starting to work on monetizing my blog. Thanks so much for sharing all this information! I am a member of a few of those site but some I never heard of so thanks!!! This is some list. Thank you so much for putting it together. I have signed up for a few of the programs and when asked I said you referred me. Thanks again!